WE HAVE BEEN SERVING METRO DETROIT COMMUNITIES FOR OVER 20 YEARS!!! 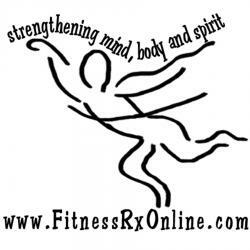 At Fitness Rx we retain a close relationship and partnership with our students, providing the structure, accountability expertise and inspiration to enable an individual to develop beyond what he or she can do alone! We help identify and clarify what needs to be concentrated on for each individual. WE ARE VERY FLEXIBLE WITH OUR SESSIONS, AND ALLOW YOU TO MAKE UP CLASSES WITHIN A SESSION THAT YOU HAVE MISSED! We employ a diverse array of fitness challenges to empower clients to take charge, connect with their motivation to be well, and learn how to modify their lifestyles to achieve optimal health. We work with individuals to help them improve all areas of wellness including fitness, nutrition, weight, and managing stress. •	Stretching, Yoga and Pilates •	Swiss Ball, Body Rolling •	Spinning (Indoor Cycling) •	Balance/ weight Training •	Injury rehabilitation •	Enjoy working with the Elderly References	Available upon request.